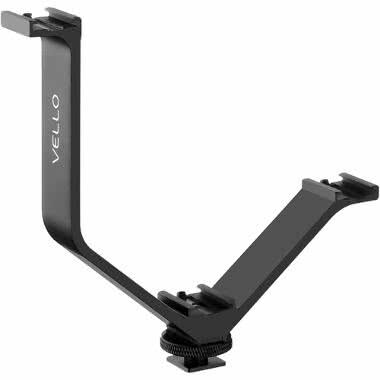 The Vello V-Rig Triple Shoe Bracket is a convenient mounting solution for up to 3 accessories, including small lights, monitors, and microphones. 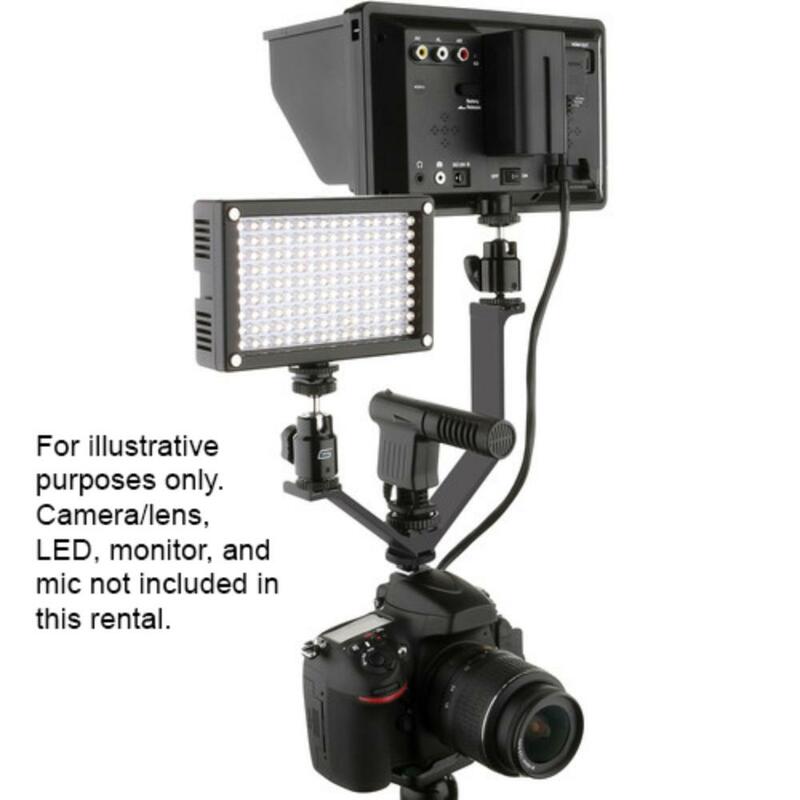 The tiered design keeps gear from crowding and the portion that mounts onto your camera has a locking pin for greater security. 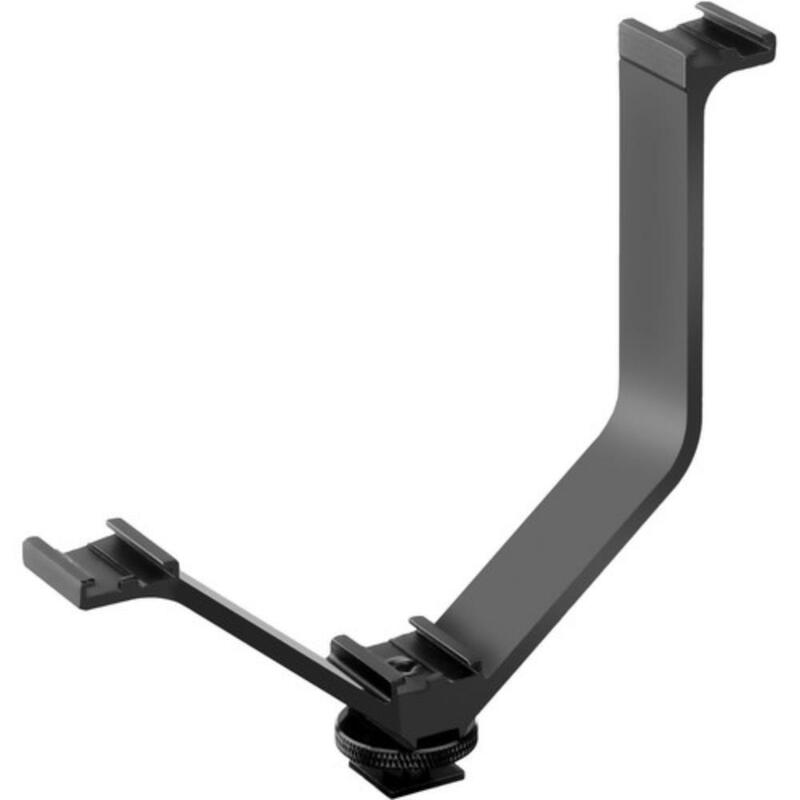 This bracket is ideal for videography, run-and-gun style shooting, and events.